So, how do you even tell a cold prospect from a hot one? Tap your sales team beforehand and ask them what information THEY would like to have from potentials. That way, your booth staff isn’t wasting its time asking the wrong questions and getting useless answers. Find out what looks like a great prospect to your sales team, and teach your staffers to identify them. Challenges: The first order of business is to determine the lead’s pain point. Why are they here? What do they need? How does that need being met/unmet affect them? Where could their current vendors improve? Finding the answers to these questions will gain you access into the attendees’ motivations and will help you determine the next step. Once you see the larger vision of the company’s needs, you can ask more specific questions related to actually filling those needs. Authority: Determining the authority of the person you’re talking to is the most crucial, and perhaps the most difficult, item on a staffer’s checklist. The last thing a staffer wants to do is spend loads of time chatting up a company man only to discover he’s NOT the decision maker in the company. And often, the most talkative attendees are not the ones with the buying authority. Just because someone asks a lot of questions or has great rapport with the booth staff doesn’t mean they are in a position to pull the trigger when it’s time. Find out who the decision makers are and pour the effort into them. Money: This is one of those taboo subjects no one wants to broach, but in business, everything comes down to money. Asking some basic budget-related questions can be painless to all the parties involved, and it can be especially helpful to the sales team. Poking into the company’s budget can be simple and vague. For example, ask if and when funds will be available for filling the company’s needs. Perhaps you’re talking to someone at an event in October whose fiscal year begins in July – that simple answer gives your sales team the information it needs to know how quickly to pursue that lead. On the other hand, if you’re talking to a company rep who has money set aside come January to begin making big purchases, your sales team will definitely want to act quickly. Prioritization: We all know that priorities matter in our personal lives, and business is really no different. A company will be driven by its priorities, so it’s important for booth staff to be able to relay to the sales team where a particular company’s priorities lie. As staffers are speaking with attendees, have them determine how critical the stated need actually is. Are there other company goals ahead of this need? Is this need at the very top of the list? Is the need likely to get filled, marginalized, postponed, dropped? Do all the decision-makers agree on this priority? Discovering this information helps the sales team know when and how to follow-up with the prospect. The best way to become booth-savvy staffer is just good old-fashioned practice. Have staffers write down potential questions in their own words and in ways they are comfortable conversing. Personally I like to use the same question that works at any show to engage attendees – “What brings you to the show today?” Never make your first question to an attendee anything that can be answered with one word… like fine, yes, or no. Make the attendee have to think about their answer. Have your team role-play ahead of time with each other so they can practice refining their approach and adjusting their tactics when they are met with pushback. A Because personalities and temperaments matter so much in first impressions and communication, staffers need to practice interacting with prospects, “matching” the prospect’s level of energy and speed of speech. A good closing question that is good to integrate into your training is “How would you like me to follow up with you?” When you ask this question, they will normally give you the timing and way they desire follow up. We need to be attentive to the way they want follow up, such as email, phone, in person, text or a snail mail letter. We’ve all done it – introduced ourselves to someone we’re supposed to already know or forgotten the name of someone important. It’s not only embarrassing, it’s hurtful both to the client and to business. For this reason, make sure your staffers are familiar with existing clients. Coach them on how to give these VIPs a warm welcome. Instruct them to spend the time with them that they deserve, inquiring about their satisfaction with your company and asking if they have needs that aren’t being met. They can always end the discussion by encouraging the client to speak up if there is a way to better serve them. Booth staff should be well-versed on greeting, conversing with, and wrapping up properly with current customers. Before every show, make sure to do a pre-show meeting and cover the essentials of booth staff training. When we do we see significantly better results. After every show, get back in touch with the sales team for a debriefing about the leads the booth staff gathered. This provides an essential ingredient… accountability. 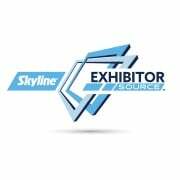 This is missing in most trade show follow up programs that are done. We need to cover topics like: What did they do well? What needs attention? What needs scrapping? If there’s a quality control problem, it’s best to take care of it early in the season. Keeping the conversation going between the booth staff and the sales team will only refine and improve the lead-generating process, leading to a better rate of return from your booths. 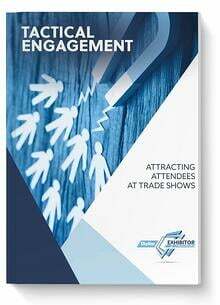 To get the best ROI from your trade show, be sure to put in the work BEFORE you set up your booth. Your staff is the heart of your booth, and even a beautifully-designed booth can not do the work of well-trained staff. 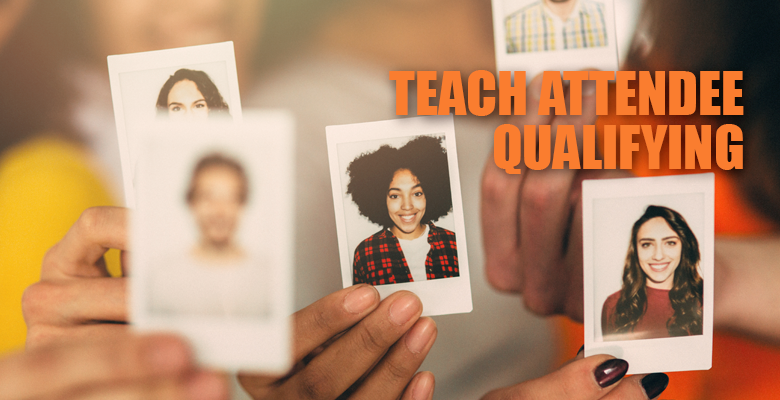 Teach your booth staff to qualify excellent leads for you!